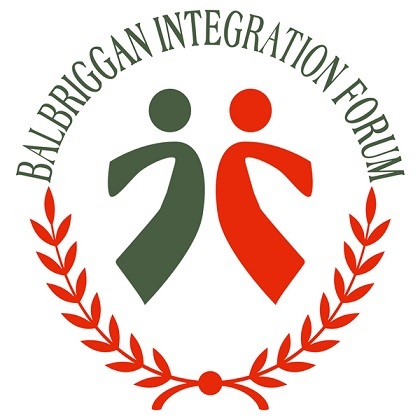 Balbriggan Integration Forum is a voluntary body that believes in developing positive intercultural relationships by respecting and sharing the richness, beauty and potential of all people and their respective cultures which will add significantly to the quality of people’s lives in the area. The Forum will be non-political, non-religious and avoid any unnecessary duplication of services within the area. To promote social, cultural, educational and economic integration, insofar as possible, by addressing common needs through creative responses that will lead to improved access to services, support systems and community facilities within the area. BIF consists of representatives of local agencies, schools, voluntary groups and individuals working and living in Balbriggan who are also of various cultural and religious backgrounds. Email: Balbrigganif@gmail.com or phone: 018552111. To address common needs across all communities based on equality, equitable access, social-inclusion, human rights and responsibilities. To challenge and pro-actively respond to attitudinal and structural obstacles to full integration, particularly racism and/or social and cultural discrimination. To develop appropriate networking opportunities and links between community groups, voluntary and statutory service providers and policy makers. To organise, based on regular needs analysis, a program of educational, training, cultural and sporting activities for various age groups. To encourage, support and enhance community development initiatives, business and employment opportunities. To gather and disseminate relevant information, research and community feedback. To source, administer and account for funds and grants. To regularly review the Forum’s working methods, plans and achievements. Balbriggan Integration Forum (BIF) – Living & Working Together has been set up as a part of Cairde Balbriggan Integration Initiative. It was officially launched in December 2013. Is a voluntary body that believes in developing positive intercultural relationships by respecting and sharing the richness, beauty and potential of all people.